The house overlooks the sea and it has a terrace of approximately 200 square metres with the same view over the sea where you can enjoy great breakfast on awaking and excellent dinners maybe organizing a fantastic grill of good local fish. The overnight stay is nice and quiet, away from the annoying noise of the streets, public squares, discos, bells towers, etc. Nights are cool even when it is very hot. It is suitable for families with children and older people. Fetovaia offers its enchanting beauty to those who want to spend holidays at the sea in full relief surrounded by the most intense Mediterranean flavors. 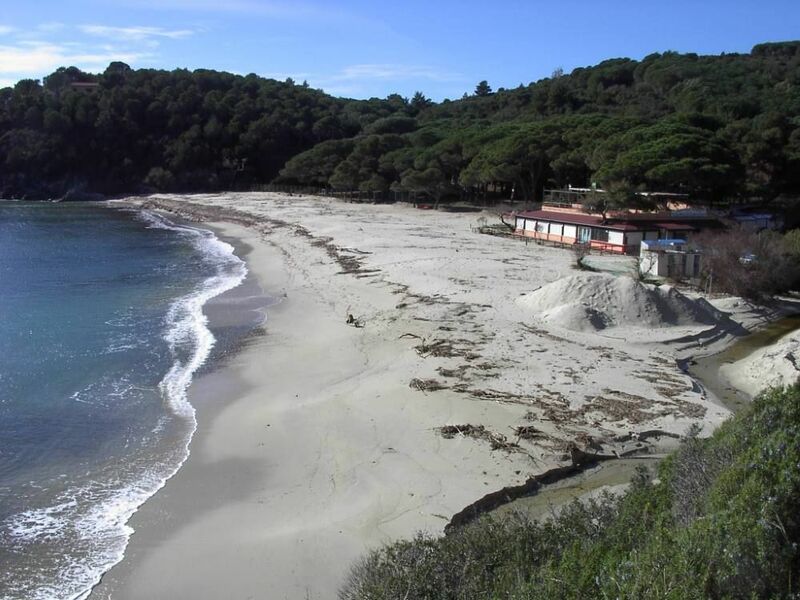 The resort is located on an inland bay facing the south of Elba’s island, where its lovely white beach is sheltered from the most strong south-west and north winds. The house is one of the first constructed in this bay and it was built by my family in the early 1900. Over the years maintenance and improvement works have been made to be welcoming and perfectly functional in respect to those who will spend the holiday there. Nette Vermieter. Sprechen nur italienisch (ich leider nicht). Parkplätze sind sehr eng. Rein und rausfahren eine Kunst. Ritornerei se risolvono il problema del parcheggio che ci ha condizionato la vacanza. Manca un parcheggio della casa accessibile. Abbiamo soggiornato nella casa della signora Anna Maria le due settimane centrali di luglio.la casa è in posizione strategica,pur essendo vicina al mare rimane comunque in una zona molto tranquilla.fantastico lo spazio all'aperto (ideale per famiglie con bambini).proprietari molto discreti. Spiaggia molto bella,ma in questo periodo estremamente affollata.esperienza nel complesso positiva. Wir hatten schöne Ferien und der platz ist schön. Die Beschreibung ist leider nicht genau. Zu allgemein.Es hat ein schöner grosser Garten aber man muss ihn teilen. Der Grill ist klein. Parkplatz hat nur für sehr kleine Autos platz. Für uns war es schwierig. Wir konnten nicht dort parkieren wir hatten ein Vw Bus. Kochherd ging nur 3...aber signora paolini ist sehr freundlich. Wenn man Ruhe braucht ist fetovaia nicht unbedingt erholend. Casa molto accogliente pulita semplice e molto fresca anche quando fuori il caldo si fa sentire. bella posizione che da modo di godere appieno della bella spiaggia di fetovaia e molto bello lo spazio esterno dove si può comodamente mangiare godendo della bellezza del posto e dell'ombra di una grande magnolia.Posto molto adatto a chi ha bambini. Siamo tornati a casa con la voglia di ritornarci!! Fetovaia is a seaside resort of the municipality of Campo nell’Elba and it has the exclusive right of the beautiful beach in the bay. Elba’s island offers many specialities, and each village has its own specialities. For food I’d recommend the village of Marciana Marina with its renowned restaurants, for evening entertainment such as pubs and clubs Marina di Campo, Capoliveri and Portoferraio. Portoferraio is also the city of Elba so it is recommended for shopping.